What’s that? You say being a spell caster in Low Fantasy Gaming isn’t dangerous enough? Maybe this will help. Before there were true spells, there was raw sorcery, forcing the universe to bend to your will. It… sometimes worked as hoped. At least, often enough to make it worth trying…. 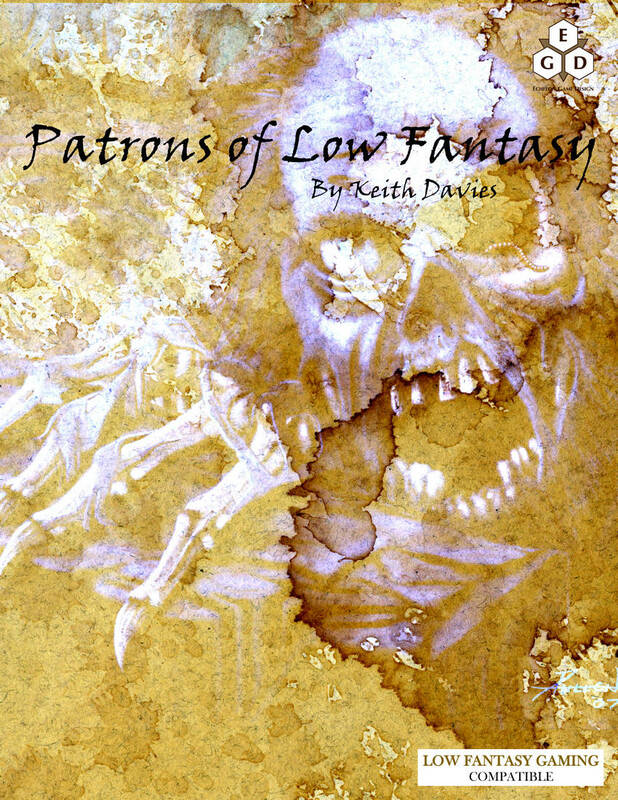 Patrons otherworldly beings that mortals — usually ambitious, often desperate, possibly self-destructive — turn to for power. 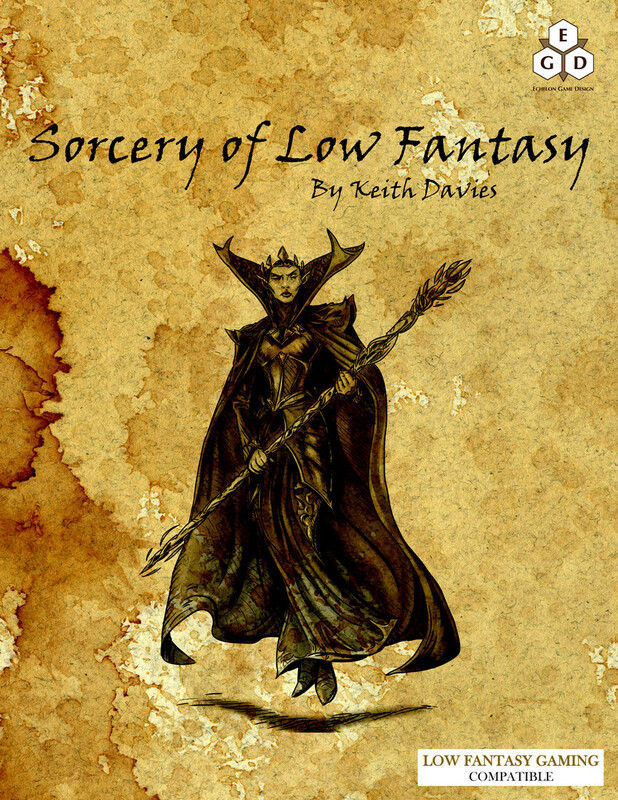 Low Fantasy Gaming doesn’t have much to support them. But it will soon.